Hello and Happy New Year to you all. As I promised, we are going to start featuring vendors and booths in our blog posts this year. The first booth that we will feature belongs to vendor #28. 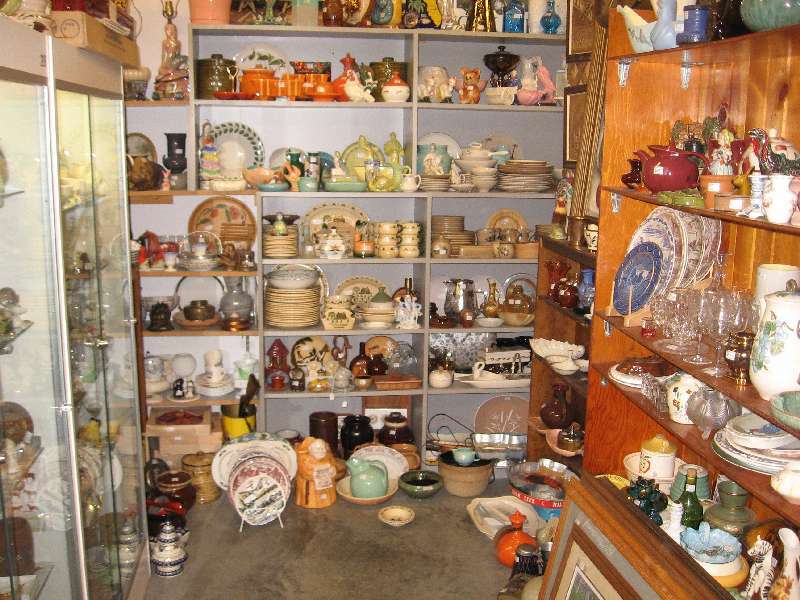 This vendor is a knowledgeable pottery collector and the booth features a wide variety of fine pottery. 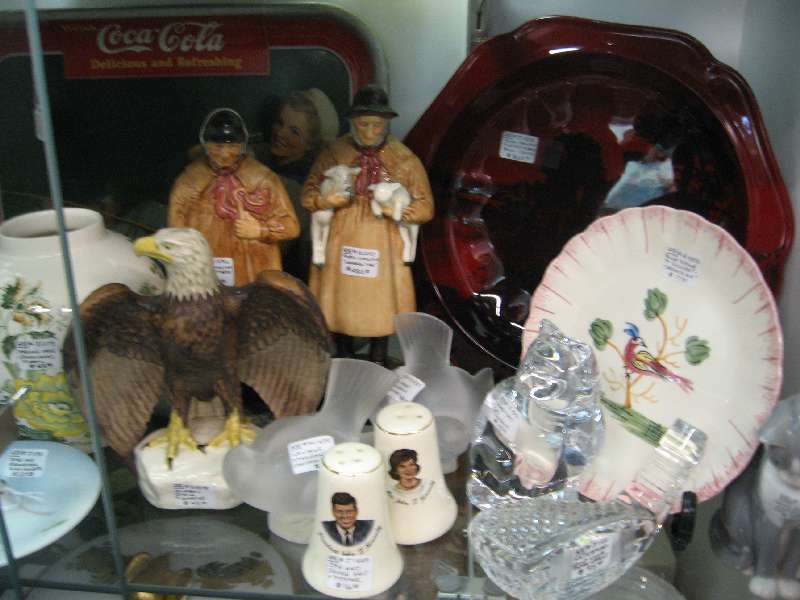 The first photo is an overall view of booth #28, showing cases and shelves overflowing. 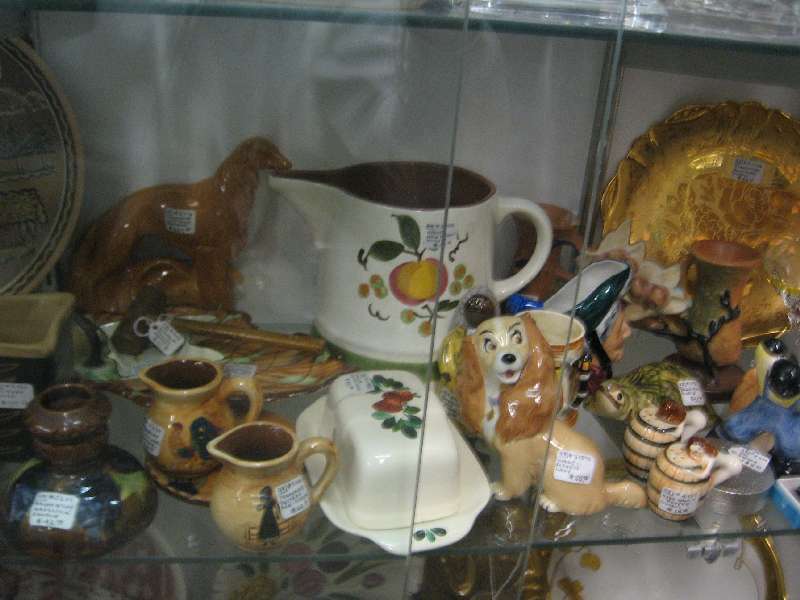 The next photo features a large Stangl pitcher with a fruit design, in front of that is a Bauer Pottery butter dish. In the right foreground is a Wade “Lady” figure from Disney’s “Lady and the Tramp”. The creamers to the left of the butter dish are Pennsbury Pottery. 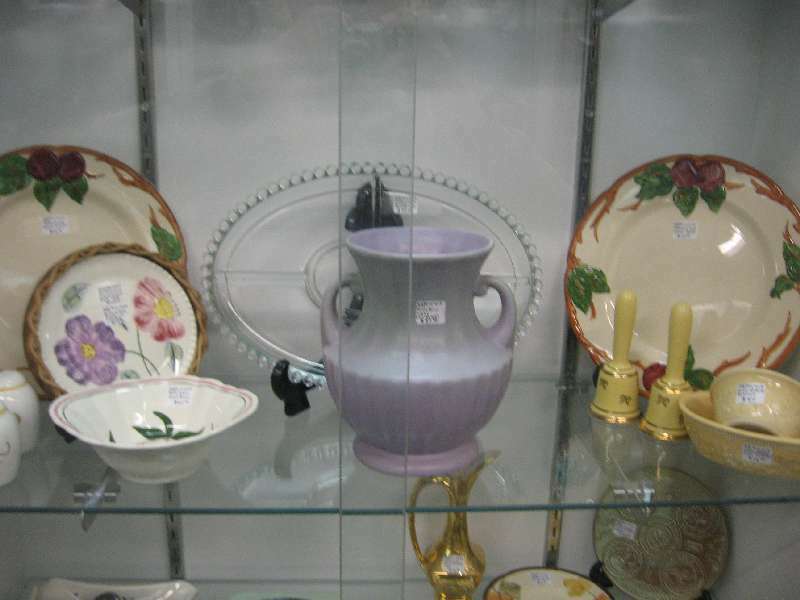 In the next (middle) photo, at the right rear of the shelf is a beautiful Doulton “Flambe” bowl. Next to the “Flambe” piece are two Royal Doulton figurines. The eagle is Goebel. In the foreground are JFK and Jackie salt & peppers, and the cat is Orrefors glass. 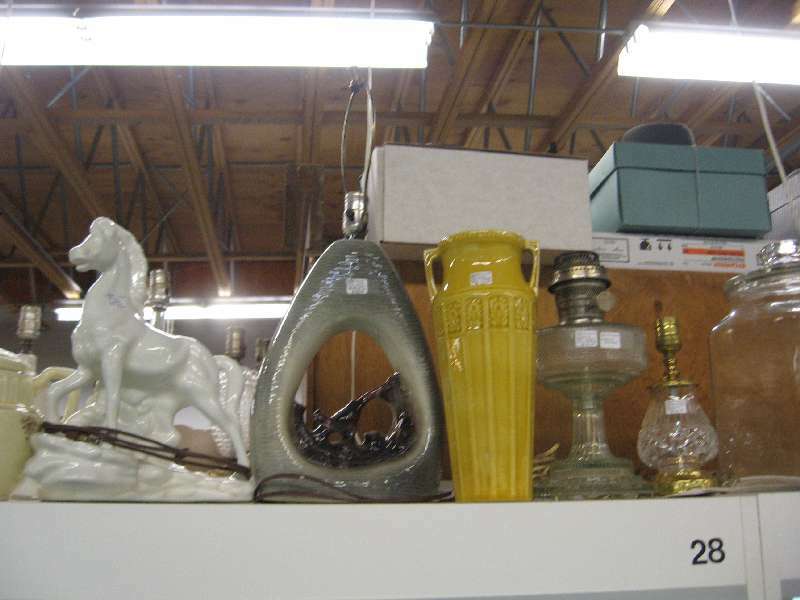 In the next picture, you can see a Maddux horse TV lamp, a 50′s lamp with a bird figure inside the open base. Next is a Red Wing Art Pottery vase, an Alladin lamp, and finally a Waterford crystal boudoir lamp. In the final picture you can see at upper right Franciscan “Apple” dinnerware, in the center a purple RumRill vase, and at the left are several pieces of Blue Ridge Pottery. If you are at all interested in pottery, come to Mantorville Square for an educational experience. You will see pieces in booth #28 that you may not see anywhere else in Minnesota. Stop in when you can and let us know if you have seen us on our website.